Professional Growth: Thinking of going back to school? Just do it! YOU MAY HAVE THOUGHT of returning to school for an additional nursing degree or certificate but put off doing it. Now's the time to turn those thoughts into real benefits for yourself and your family. I speak from personal experience. When I returned to school to obtain my baccalaureate degree after years away from school, I had two children and a full-time job. I discovered a new goal that, at an earlier time in my life, would have been impossible to attain. Doors opened for me that had once been tightly closed. Surprisingly, I also enjoyed a renewed love for the profession I'd chosen. The career burnout I'd been experiencing completely disappeared. If you've been thinking about returning to school, my advice is, "Do it." Whether "it" means a short certification course or a full-time degree program, the experience will be eye-opening, fulfilling, and wonderfully rewarding. Let's look at the reasons why you'll benefit, then explore how to choose a school and prepare for success. When times are tough, one clear solution to your own economic recovery is education. 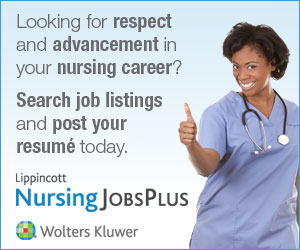 Nursing is a career field that continues to demonstrate long-term demand. Seek out quality nursing education courses and programs that are accessible, career focused, and relevant to your learning objectives. Meeting those objectives will boost your sense of personal and career satisfaction. Additional nursing education or certification may also improve job security for yourself and long-term stability for your family. Another nursing degree may even land you a better paying position. Many nurses who've chosen to return to school understand additional education can enhance their credentials and job opportunities. What may be surprising is that nurses returning to school also learn more about the profession they've chosen, the world around them, and themselves. Education enhances self-confidence and one's sense of purpose. Returning to school can also help you write, speak, lead, manage, and organize better. As one nurse put it, learning helps you stay innovative, grow young, and avoid burnout.5 A real sense of accomplishment evolves from being able to say, "I did it!!" Additionally, meeting and networking with colleagues, gaining new insights from a hugely diverse group of classmates, and being a role model to peers and family are unexpected returns on your education investment. If you're ready to take the plunge, get yourself prepared for school. Before starting any nursing program, survey your computer skills and available computer hardware and software. Take a computer class at your local community college to update any rusty computer skills (see Improve these computer skills). While you're taking that computer class, you may also benefit from taking a study skills workshop. You should also subscribe to and read both general and specialty nursing journals. Discover the political and social concerns surrounding the profession as well as key players at the national and state levels. Update your resume and personal references. For references, choose at least three people who know you professionally who are employers, colleagues, or nursing faculty members. Ask them, in person and ahead of time, if they'd be willing to provide a reference for you. Don't list someone as a reference if you haven't gotten his or her permission. For tips on updating your resume, see Assemble your documentation. Finding the right school is one of your most important and challenging decisions.1,3 Of course, the program's reputation and accreditation standing is critical. So, too, is the program's location, scheduling flexibility, costs, advising support, and required time commitments. Finding the time to devote to school and studies is a major concern for nurses planning an additional degree or certification. Online programs and distance-based programs, which offer a good mix of occasional on-site work with online education, offer wonderful flexibility. But be warned: Distance-based and online programs aren't easier or less intensive than traditional formats. I recommend identifying three or four of your top choices of schools. Create a chart numbered 1 to 5 (5 being the highest or best and 1 being the lowest or least) for each important consideration that will go into your decision. When you're finished, add up the columns. The nursing program with the highest rating may be the best fit for you. Nursing programs are required to hold full or provisional approval by their respective state boards of nursing to be considered a nursing education program. Most nursing programs also have or aspire to national accreditation, which differs from state board of nursing approval. National accreditation is voluntary, but state board of nursing approval is required. National accreditation is a quality indicator. It can also be used as a criterion for admission to graduate school and some types of employment. Currently, the two national nursing accrediting agencies for nursing programs are the National League for Nursing Accrediting Commission and the Commission on Collegiate Nursing Education. A nationally accredited nursing program has been carefully reviewed and evaluated and meets national quality standards and criteria. Be sure to ascertain the accreditation and board of nursing approval status of your prospective program. To find out how long it will take to achieve your educational goal, obtain copies of your official transcripts for all completed postsecondary course work. You'll need to figure out what you've already taken that will transfer and what you still need. You'll also have to find out when the courses you need are offered. Most program counselors need both the application you've submitted to the program and the official transcripts of all relevant courses you've taken since high school. To expedite this process, go to each school's website and complete the online transcript request form. Have these transcripts sent directly to the designated person or department of each of the nursing programs you're considering. Allow plenty of time for these documents to be processed. Next, make an in-person (if possible) or telephone appointment with the program's advisor. Prepare carefully for this appointment by learning all you can about the program (most programs have websites). Plan to take your transcripts, the program application, references, your resume, your license or certification, and any other required documents. Ask your supervisor and human resource representative whether your employer can help finance your additional nursing degree or certificate. Employer-based incentives can include payment for class attendance, worksite course offerings, tuition reimbursement, flexible scheduling and paid sabbaticals, and loan forgiveness for service.4 Your value as a well-educated employee is an excellent incentive for your employer's help and support. Another important source of financial aid is the school itself. Go first to the financial aid section of the school's website. Find out about federal grants and loans; discover and apply for all possible scholarships. Go to financial aid government websites such as http://studentaid.ed.gov and http://www.students.gov. Many nursing organizations have scholarships available. If you belong to the American Association of Critical-Care Nurses, Association of periOperative Nurses, Sigma Theta Tau, or other associations, check their websites for information about education assistance. Complete all financial aid requests well ahead of deadlines and make sure you meet all requirements. To complete your program comparison chart in the area of available financial aid, make an in-person (if possible) or phone appointment with the financial aid advisor for your top choices. Bring your questions, your needs, and your ideas. Once you've been accepted into one of your top choices, take steps to be successful. If specific time requirements aren't listed in program and course materials, consult with the program administrator and current students and graduates. Find out how others have been able to juggle multiple responsibilities with program requirements. Either online or on paper, create and keep a calendar of deadlines and responsibilities that you follow diligently. Your calendar should include not only all exam and assignment dates, but also lead time for these activities. For example, if a major paper is due on October 30, your calendar should include benchmark due dates for the outline, literature search, and rough draft. For any major exam, add due dates for assigned readings, study, and review of related content. The benefits of school really fall into three categories: before beginning classes, while attending, and after finishing. Before the start of classes, you have a target, a reason for preparation, a purpose, and the excitement of anticipation that doesn't leave once classes begin. Class attendance is a time for mind expansion. New nursing colleagues and new interests will sweep away the cobwebs. Another unexpected benefit during class attendance is the role model you, the student, become for your entire family. The excitement of learning is infectious. A great deal of sharing, discussion, and discovery can occur at the dinner table. The third category of benefits for continuing nursing education is the time when classes are completed, deadlines have been met, and goals have been accomplished. Now you can improve your status in the job market and experience the thrill of knowing that you've achieved your dream. Graduation can be a time for new nursing goals, challenges, and successes. Furthering your nursing education not only enhances your career, but also nourishes your sense of self-worth and hunger for new knowledge. You'll learn more about yourself and your own potential than you ever expected!! Make a list of every school you've attended since high school. Identify the dates of attendance, major and minor fields of study, and any officer positions held, special project achievements, and degrees or certifications earned. Include the school's address and phone number. To access transcript and other information easily, save the school's home page in your favorites on the computer. Document your license and certifications along with expiration dates. Many schools require proof of immunizations, health status, and CPR training, so gear up for school by pulling together these records. Have you had a tetanus vaccination within the last 10 years? If you know you need it or any other immunization, get it now. If your CPR training has expired, renew it now. It's a good idea to update your resume so you'll have this information readily available in case you're asked for your work history and positions held. Some educational programs may require you to submit a current resume with your application. Considering an online or web-support program? After an introduction to the computer and the Internet, you'll need these essential computer skills. * competently using the nursing program's required learning management system, such as Blackboard, Moodle, eCollege, or WebCT.